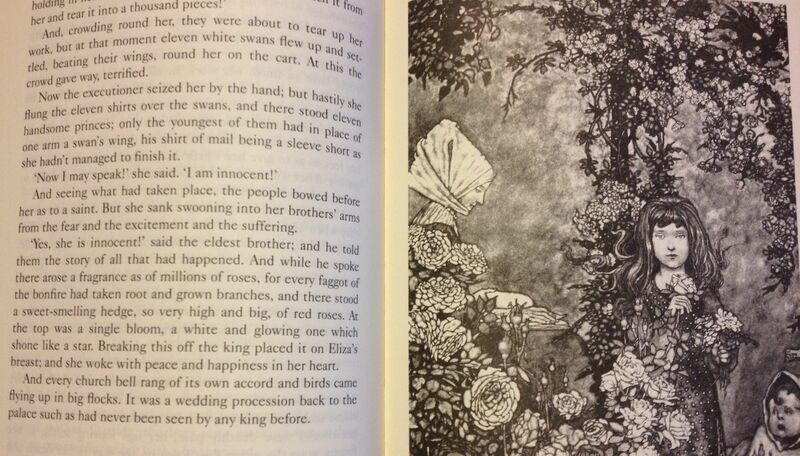 10 Things Fiction Writers Can Learn From Fairy Tales. 1. It’s not real! You can tell this in a fairytale because of the dragons and the fairies. You don’t need fairies in your story, but as a fiction writer you are asking the reader to suspend disbelief and be swept up by their imagination. So use your imagination and don’t do them the disservice of serving up thinly disguised memoir. 2. Once upon a time is all you need for set up. Then you can bring the reader right into the story. Please. 3. A prince is a prince. He very rarely has a manly stride or eyes like polished steel. He’s a prince. Thank you, let’s move on. Likewise, the poor villagers are poor. Again, we get it. We don’t need the miserable backstory of their entire lives. The witch has bony fingers. You don’t need to tell me what shade of grey her dress is. 4. Some of the Piggies get eaten. Try and strike a balance between dwelling on this too much (it is not the moral of the story) and wrapping your reader in cotton wool euphemisms. Readers will feel the fear and read on despite because of it. 5. We are cheering for the hero so let them be heroic. I’m not saying don’t make them work for it, but put them to work for heaven’s sake. Ineffectual characters who stop trying are wholly unsatisfactory and uninspiring. 6. Morals are simple. We can read a fairy tale written hundreds of years ago and still understand the moral. Don’t hide the moral in whatever you want the reader to feel for you, the writer. This is not your story. 7. Choose your battles. 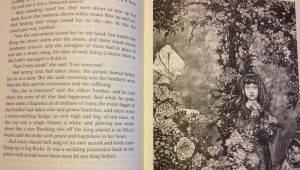 Fairy tales seem to find an excellent balance between simple prose that keeps the story pacy and the occasional delightful description, name or or piece of dialogue that adds setting and character. I’m reading the wonderful ‘Song of Achilles’ at the moment and it has exactly the same quality. So don’t try and be too clever, choose your language battles carefully. 10. Happily ever after. But falling in love is not the same as slaying the dragon. That is called a subplot. We need resolution. Whatever the dragon is, get it slain (or ride it, of course). If you’ve seen Tim Burton’s version of Alice in Wonderland…well that’s resolution right there. Fairy tales just get on with it, don’t they? Lovely piece. Thanks! Yes, they do. Proper story telling. Fabulous post! Excellent points. I hope this is taken to heart. I’m going to share it around. It’s good of you to extract these guidelines from the sidelines of literature, and useful to me personally, too…many people write experimentally and forget that the effective breaking of rules requires having a clue about them. 🙂 As I think you know, I’m not at all a fan of imposing ‘rules’ on writers, and experimental writing can blow me away when done well. But so many writers send out fiction to be considered for publication which I already feel I’ve seen before, dozens of times, because you know, she was a princess at heart, and one day she would show her evil parents, who even though she was 23 never let her stay out after midnight and didn’t approve of her tattoo or her drinking. But then of course no-one at work understood her either. That was, until the day she decided to (fill in tragic ending with no resolution). Bring back Puss-in-Boots!